1. Who are the best people to talk to at St Dominic Savio about my child’s difficulties with learning, special educational needs or disability? 2. How will St Dominic Savio let me know if they have any concerns about my child’s learning, special educational needs or disability? 3. How will St Dominic Savio consider my views and those of my child with regard to their difficulties with learning, special educational needs or disabilities? 4. How does St Dominic Savio ensure the teaching staff are appropriately trained to support my child’s special educational needs and/or disability? 5. How will the curriculum and the environment at St Dominic Savio be matched to my child’s needs? 6. What types of support may be suitable and available for my child? 7. How will St Dominic Savio support my child to reach their learning outcomes? 8. What is an EHC Plan and who can request one for one for my child? 9. How will you help me to support my child’s learning? 10. How is support allocated to children and how do they move between the different levels of support at St Dominic Savio? 11. How will St Dominic Savio know that the support has made a difference to my child’s learning and how can I and my child be included in this review process? 12. What support will there be for my child’s happiness and wellbeing at St Dominic Savio? 13, How is my child included in all the same activities as his/her peers at school? 14. How will St Dominic Savio support my child in transition stages? 15. If I have any other questions about my child at St Dominic Savio who can I ask? Children today use Information and Communication Technology (ICT) in schools and in the home. The following guides and information explain how you can help to keep your child safe online, how ICT can be an effective teaching tool, the rules that we enforce at St Dominic Savio when using computers and some guidance on social networking. We are committed to online safety at St Dominic Savio. Our children are taught the SMART rules to stay safe online. The children learn about online safety in our school curriculum. We ensure children understand how to stay safe online, the dangers of inappropriate use of mobile technology and social networking sites. Each year we take part in February's Safer Internet Day. We liaise with external agencies to support and train children and parents in staying safe online. Twitter is a communications platform that allows users to share small bursts of information called Tweets. Each Tweet is a maximum of 140 characters long. You can also get links, see photos, videos and news stories and participate in conversations using Tweets. Most of the communication taking place on Twitter is public and viewable by everyone. While Tweets can be protected so only approved followers can see them, most users share their Tweets with everyone. If your child wants their Tweets to only be available to approved followers, they can protect their Tweets through the Tweet privacy section of their Account Settings. Facebook is designed for children aged 13 years old and upwards. It allows people to connect with friends and communicate through chat, personal messages and sharing photos, videos, links and other kinds of information. As Facebook is designed for teens, we do not promote its use by children at St Dominic Savio. However, this does not necessarily mean they are not using it. By using a fake date of birth, children under 13 years of age can sign up for a Facebook account. Please take the time to talk to your child about whether or not they are using Facebook and what they are using it for. It is much better that children are open about their use of Facebook, rather than using it secretly. Who can see my child’s timeline? This depends on the user’s account settings. Normally, the people who can see what users under 17 years old post are their Facebook friends, friends of friends, and networks (like the school they attend). Facebook maintain added protections and security settings for teens (age 13-17 years). If children have put in a fake date of birth which gives them an age over 17 years, these security settings may not be applied to their account and their timeline may be visible to more people. Web-logs, commonly known as blogs, allow people to share their writing with other members of the internet community who can then comment on the work. The blog could be a diary, research or just pieces of writing which they have written for the joy of it. While everyone on the internet can view this material, if settings are applied correctly, only approved members can contribute a post and all comments must be approved by the blog editor. Explain to your child that passwords should never be shared, not even with their friends! If the home computer is shared, remind them always to log out when they finish their online sessions so as to develop good online safety habits. It is important to log out of any websites which they have logged into on a shared computer to stop other people accessing their information. Children in particular may feel that parents are disconnected from their perspective and fear that conversations about online safety will be awkward or embarrassing. Listen to how your child is using Twitter, Facebook, Instagram, Snapchat and other online mediums. It is important to take their online relationships seriously. One of the best ways to begin a conversation is to ask your teens why services like Twitter or Facebook are important to them. You might also ask them to show you how to set up your own Twitter account or Facebook timeline, so that you can see what it is all about. Discuss what sort of information is appropriate to share online - and what is not appropriate. Ask them about privacy settings, and suggest that you go over them together regularly. Set ground rules, and enforce them. As a parent you are a role model for your child. Demonstrate the importance of a balance between online and other activities by encouraging family activities online as well as offline. 1. If you felt uncomfortable about anything you saw, or if anybody asked you for your personal details such as your address on the internet, would you know where to go for help? 2. If anybody sent you hurtful messages on the internet or on your mobile phone, would you know who to tell? 3. Can you tell me one of the rules your school has for using the internet? 4. Can you describe the risks of posting inappropriate content on the internet? As parents, you may have seen children say or write things that were not intended to be hurtful but that others found offensive or upsetting. Help your child to evaluate whether or not something is acceptable to post by reminding them that, if they would not say it to the person's face or out loud, they should not say it online either. The nature of the internet makes it difficult to erase content completely. Consider having a conversation about how some items which are online can hurt feelings, affect offline relationships and even jeopardise future opportunities. It is also important to talk about the Golden Rule: treat others the way you wish to be treated. This also applies to using new technologies. Make sure your child knows where to go for support if someone ever harasses them. Help them to understand how to make responsible and safe choices about what they post, because anything they put online can be misinterpreted or taken out of context. Some people take advantage of the fact that they can send messages to large numbers of people in an online community. Users of social networks may find that they receive confusing messages from strangers, perhaps trying to sell products or open up communication. This is known as spam. If users receive spam, they should block that user so that they can no longer communicate with them. If the messages continue, they should be reported to the specific site. Spam can also be used to launch ‘phishing’ attacks where users are sent emails tricking them into ‘updating’ their personal details online via a fake website (imitating a bank or similar) or through a misleading pop up advertisement, such as a banner informing them that they have won a prize or money. Spam can also be used as a means of distributing malicious software (‘malware’), which has been designed secretly to access a computer network or system without the owner’s consent. Once there, malware usually causes some unexpected and undesirable result, ranging from being intrusive or annoying (in the case of ‘adware’) to compromising your personal information (in the form of keystroke-logging spyware used for identity theft), or outright destructive in the form of viruses which might destroy system files or impact upon the operation of your system. There are a number of strategies that parents can employ simultaneously to guard against spam, malware and viruses. These include technological protection in the form of firewalls and anti-virus software on the home network, and awareness and education for all family members. CEOP (part of the National Crime Agency) is a member of the Virtual Global Taskforce. It is an excellent resource for young people and adults with lots of information on how to stay safe, in control and reporting abuse. 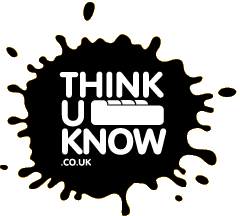 Think U Know is part of CEOP and provides the latest information on the sites you like to visit, mobiles and new technology. Find out what’s good, what’s not and what you can do about it. Keeping children safe online is a great concern for parents. The NSPCC’s Share Aware provides straightforward, no-nonsense advice for parents of 8 to 12-year-old children. 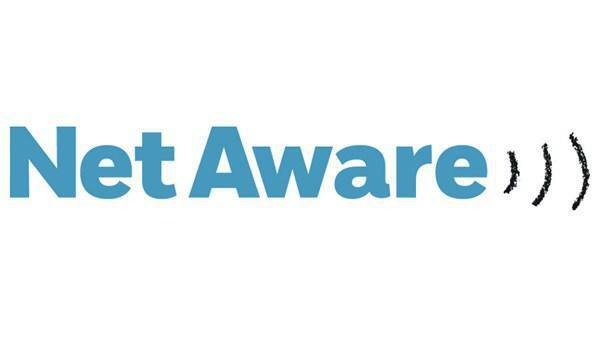 #ShareAware was mentioned more than 10,000 times on Twitter, during the first month of its campaign in January 2015. 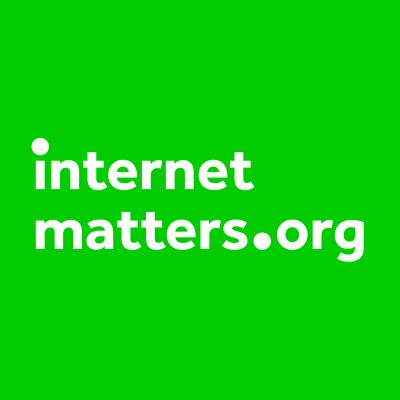 The NSPCC will continue to challenge and work with internet companies and the Government to make the internet a safer place for children. This is a free service for schools. Here you'll find a collection of articles, tips, expert advice and resources designed to help parents keep up with what their children are doing online. Parent Info is a collaboration between The Parent Zone which has been providing information and support to parents for a decade, and CEOP (Child Exploitation and Online Protection) command of the National Crime Agency.